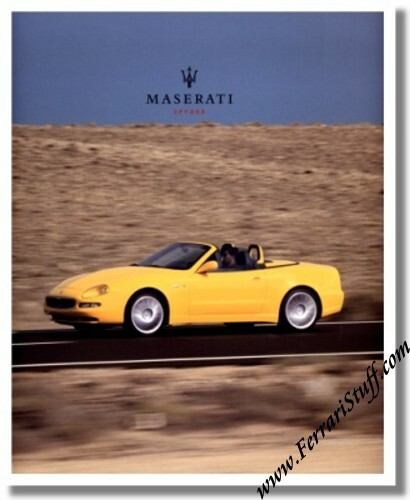 42 Page, full color brochure with countless photographs and drawings elaborating on all aspects of the Spider. It measures approximately 9 x 11 inches or 22 x 27 cm. Maserati print number 92000840, issued in 2003.